Find out what our readers think of the stories making the Gazette headlines. Dear Ed, – The victory over Patersons re a potential quarry at Overburn Farm is good in that the community voice triumphs over individual greed. 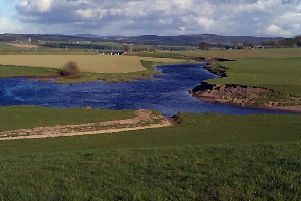 However, there is still a decision to be made on the application to extend a quarry that will impinge on the site close to Bonnington Falls and the natural habitat connected to a World Heritage Site at New Lanark, not to mention much local history of Bonnington House and the fords where the old Lanark road used to be before Hyndford Bridge was built. Put this together with 11 recent applications to erect 286 wind turbines in South Lanarkshire and we need to ask some serious questions about the Grand Plan for South Lanarkshire, i.e. the long term vision that embraces lifestyle, resources and income. Large companies have a lot of clout but are basically in it for themselves. Grants from these to local communities are bribes. It used to be called ‘divide and rule’. Promises of short term jobs do not build a healthy rural economy. I was appalled to see, in this paper, an ad for people to invest in a local windfarm. And under all the small print and polished words, the company was Italian. This is capitalism. I have nothing against a local wind turbine that serves a farm, or even a village. I was much impressed by the community on Eigg that serviced its own energy needs with three wind turbines and a row of solar panels - a community working together conscious of its energy needs and use. More and more (energy) does not address the underlying issue of HOW we use energy. The success of Eigg goes beyond energy to a vision of community co-operation and unity. Piecemeal planning just shifts the blame around; the few pass the applications, and the many do not get to consider or even participate in the overall vision. When the vote was taken by the council on the extension of the quarry to Bonnington, it was done on a Labour whip, a crude political tool that omits individual analysis and assessment by councillors. What was the political agenda? Dear Ed, – South Lanarkshire Council’s approach to planning seems to have gone back to the 1960s - demolish, don’t conserve. The proposal to demolish the primary school building and replace it with a car park is counter to so many principles of good modern planning. The site is at the junction of two very narrow roads which many children use. One of these roads is also the route to the health centre and the hospital. The last thing that is desirable is to encourage more cars to use these roads. The school building (at one time the secondary school for the town) has historic significance for the community and it is buildings of this kind that give character to our old towns and attract people to them. Planning authorities were supposed to have moved on from the terrible mistakes of the past and become much more supportive and sensitive to conservation. Vance Sinclair, apparently speaking for the council, claimed that “the cost and problems involved in converting the building for another use would be too much for any company”. (The Gazette March 12) What evidence does he have for this? Has it been market tested? If so, can we see the details? Could we have the views of architects with experience of conservation? All of us have seen far more difficult buildings throughout Scotland, including many churches, attractively converted and in demand. This building could be converted into good housing with off-street parking and help to sustain the town’s character. What are our three councillors doing on this issue? Dear Ed, – Your reader Jack Alston has to be congratulated for his magnificent photograph of the Tote Tower at Lanark Racecourse featured in the Gazette on Wednesday, March 5. This listed building represents the remains of our racing history. It is evident that with a little money spent on maintenance and with sensitive lighting the building could be an iconic tourist feature on the Southern approaches to Lanark. To my mind it is a much more fitting tribute to the history of the racecourse and its long history of racing than the expensive and badly sited tangle of model aircraft beside the loch. – Yours etc. Dear Ed, – Trust, is the central issue of equal pay at South Lanarkshire Council. We now have two distinct groups of low paid workers: those who trusted the Labour administration and will get nothing; and those who did not trust the Labour administration, and, through the last ten years of legal action, will now receive their rightful compensation. Dear Ed, – Re: Divine Acts March 5. For two weeks I have read grievances from readers. The problem is people are not meditating on Bible Truths. God is a loving God and wants us all to know him, James 4-8, as individuals. His name has been associated with strong accusations, untruths brought about by those who have no real knowledge of scripture, John 17-17, 2 Timothy 3-16-17. I would remind readers that in a Court of Law most people are represented and given a fair trial. I ask that all can reason on Bible truths for themselves and not just accept what they hear second hand or from false religious teachers. For example the Trinity and hellfire: ask yourself, are they scripture? Dear Ed, – I am writing to encourage readers with children under five to celebrate the 45th anniversary of Eric Carle’s book The Very Hungry Caterpillar by hosting their own Giant Wiggle. Action for Children is setting little ones in South Lanarkshire a very wiggly challenge – to raise sponsorship by forming giant caterpillar conga lines at their children’s centre or nursery on March 20, The Very Hungry Caterpillar Day.